About 10% of 5-6 year old children in mainstream classrooms have some form of language disorder. Children with language disorder (aka language impairment) may have difficulty understanding others (receptive language), or sharing thoughts, ideas, and feelings completely (expressive language) which cannot be explained by a sensory deficit (e.g. hearing problems) or neurological impairments. Diagnosis of ‘specific’ language impairment traditionally required nonverbal IQ to be within normal limits, often resulting in restricted access to clinical services for children with lower nonverbal IQ. However, after much debate the most recent revision of the Diagnostic and Statistical Manual of Mental Disorders (DSM‐5: American Psychiatric Association, 2013) removed reference to nonverbal IQ in the criteria for developmental language disorder providing criteria for intellectual impairment is not met. 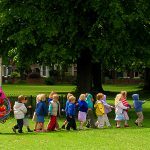 How many children start school with language disorder? In our recent SCALES paper we report that overall, 9.92% of children start school with a language disorder; 7.58% have a developmental language disorder of unknown origin, while 2.34% have language disorder associated with intellectual disability and/or existing medical diagnosis. 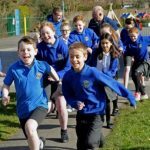 Children with language disorder had more symptoms of social, emotional and behavioural problems relative to peers and 88% did not make expected academic progress. There were no differences between those with average and low‐average non-verbal ability scores in severity of language deficit, social, emotional and behavioural problems, or educational attainment. We therefore argued that access to specialist clinical services should not depend on nonverbal ability, consistent with international consensus on criteria for developmental language disorder (click here and here for details of CATALISE, an international consensus on terminology and diagnostic criteria for developmental language disorder). How persistent is language disorder? Our findings from the longitudinal follow-up study have recently been accepted for publication and will appear in September 2017. Our findings show that all children make considerable progress in language development over the first three years of school – even children with multiple and severe developmental challenges. However, the relative order of children within the population doesn’t change much: those with above average language skills in Year 1 maintained that advantage over time, while those with language deficits continued to score behind peers, with a 2-3 year delay in language ability evident in those with language disorder, relative to their peers with no language impairment. Lower non-verbal ability, socio-economic disadvantage, and co-occurring social, emotional and behavioural problems were all associated with poor language skills, but none of these factors influenced rate of language growth across this period of time. Our findings are encouraging in demonstrating similar rates of language growth, even for children with severe language deficits. However, these children do not learn language at a faster rate than peers, meaning that ‘narrowing the gap’ is very challenging. We are in the process of publishing many findings, including language development in children learning English as an additional language, relationships between gesture and spoken language, and overlaps between language disorder and ADHD. Please follow News & Blog and Publications to access our findings. Most of our published papers are Open Access and free to download. Please email Courtenay () if you are unable to access a paper, or if you have any further questions or comments. 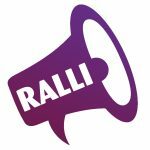 The RALLI campaign is ‘Raising Awareness of Language Learning Impairments’ by explaining what a language impairment is, the impact it can have and how to get help. 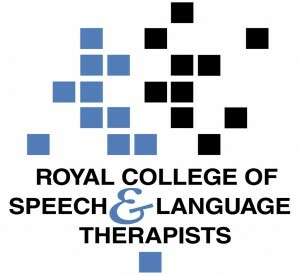 The RCSLT is the professional body for speech and language therapists in the UK, providing leadership and setting professional standards.